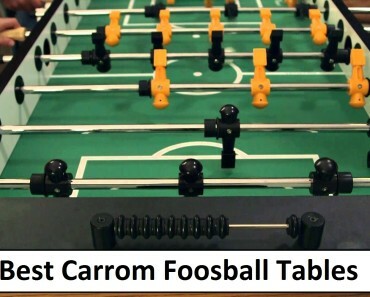 earching for the best Sportcraft foosball table? In this article, we will discuss it and after reading it, you will for sure know better this brand and what to choose, but first let’s see a little bit about the history of Sportcraft brand. The Sportcraft Company has been in existence since 1926. It was funded by a husband and wife Walter and Sophia Holdstien. They had traveled back to Europe on a family visit and were impressed with the level of participation for playing backyard games. They started their business with badminton and croquette, and through 1900, they expanded their game manufacturing to table tennis, foosball, and darts. Want to find other brands, models & reviews? Then read this. 3 Where can you find their tables for Sale? Foosball tables manufactured by Sportcraft, are not recommended for tournament playing but are great for home games and fun for the entire family. 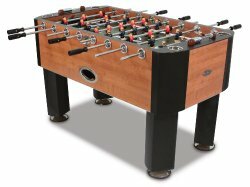 Sporcraft foosball table prices are different from model to model, because of their different features. 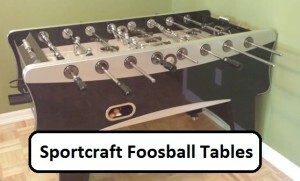 Here are some of the Sportcraft foosball table reviews, so it will be easier for you to pick. If you want to find more reviews check foosball table reviews. This Sportcraft 48 inch foosball table is specifically for the children. It is built for rough play without the concern for playing as a professional. It comes with chrome plated rods, 3 player goalies for easier scoring, chrome plated rods with atomically balanced players, and convenient front ball return. The Sportcraft foosball table is also manufactured with solid legs with leg levelers slid scoring on either side of the table, and the sleek playing surface. The cabinet is made in black with silver trim to enhance the handsome features of this foosball table. With this foosball table, you and your family are sure to have lots of hours of entertainment. The quality foosball table in the Sportcraft 48 inch Playmaker is made for children, as mentioned before is great for the price. 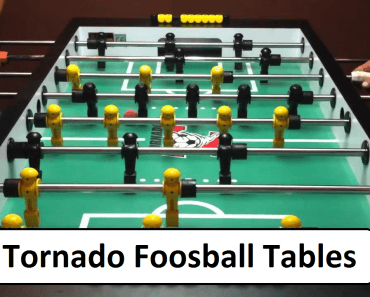 You will not find a better foosball table for that price and with such workable features and a good starter table for kids who want to learn the rules of playing foosball while having fun. The table by some purchaser was easy to assemble, as the instructions and diagrams were pretty straightforward to understand. Although this is so, it took quite a time to assemble, as the many components it has. The only drawback is; the ball is lighter than expected, and some purchasers opt for buying heavier balls. 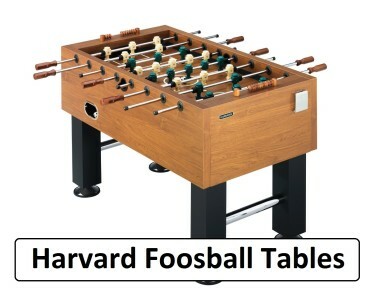 The Sportcraft AMF Varsity Foosball table is in a class by itself. It is manufactured for professional play and is of commercial grade material. Manufactured for durability; this foosball table is well balanced with a sleek playing surface, strong steel corners for heavy duty play, incredible playing control with the solid steel rods and balanced players. During rough play on any surface, the table has legs which are solid and balanced with leg levelers. The scoring game is done with the bead style scoring feature. Shipping weight for this item is 268 pounds. Where can you find their tables for Sale? 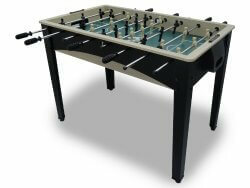 Sportcraft foosball tables are available in a wide variety of outlets around the world. In the United States, Sportcraft Foosball tables may be had on Amazon. There you can find a lot of time Sportcraft foosball table for sale and these foosball tables are sold at competitive prices and are sure to create a buzz at home and with friends. Cleaning a foosball table surface requires keen attention. First, you need to use a dry cloth to wipe the surface clean of any dust or debris that may be present on the surface of your foosball table. Next; use the rubbing alcohol sparingly to thoroughly clean the surface of your table. It may require a little more time and elbow grease to remove any black scoff marks from the surface, getting from rough playing and being too enthusiastic during play. For removal of these unsightly black marks from the table surface, you may need to clean the area more than once as they are hard to remove. After thoroughly cleaning the foosball table surface; use a clean soft cloth to buff the surface to a brilliant shine for further use. For the rods, use a small amount of the silicone to lubricate the rods. “Do Not Use WD40” to lubricate your foosball table rods! This may make your rods slicker but will damage the bearings and bumpers quicker that you really want to. 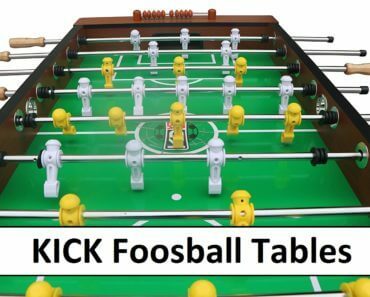 It is recommended by the foosball table manufacturers that you clean your table surface once per week after heavy play, and once per month during mild to moderate playing sessions. Spilled drink. Never allow the drink to be spilled on the surface of your foosball table. Maintain control of this, even though your table is made with cup holders, a rough play will cause the drink to spill on the surface. Provide alternate tables for players to put their drink during play. The best foosball table is the one that is properly maintained. Just as how you keep your car clean and properly maintained; it is equally important to treat your foosball table with that much respect. By doing this, you will be able to have your foosball table to give you many long years of fun. 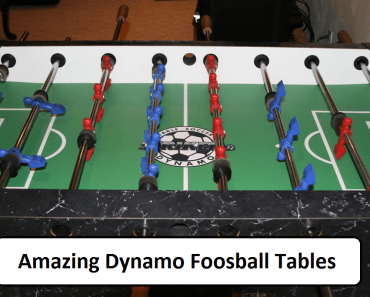 Buying a foosball table and wanting to purchase the best table available it is important you know how the game is played, what are the most sought-after table by professionals and most of all what quality and type of materials are used in manufacturing the foosball table. Next thing to do is compare the price to the manufactured foosball table you want to buy. 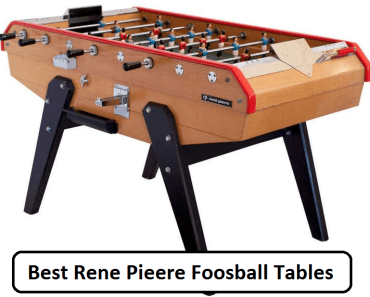 Buying a foosball table from off the store floor by looking at the finished product may not tell you all you need to know about the quality table you are considering buying. The ratings are very important. For example take a look at Sportcraft foosball table, the Sportcraft 48 inch Playmaker Foosball table is rated 3 stars and is really good for purchasing for family use, especially children, and also the Sportcraft AMF Varsity Foosball table. If you are not planning to use your table for a tournament than Sportcraft foosball table is best for you and your family.